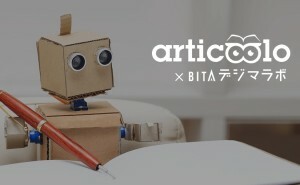 Japan’s leading technology blog BITA デジマラボ announced its new cooperation with Articoolo. The blog will use Articoolo’s content creation technology to write articles. According to Hiroki Nobe, the blog’s editor, at this point Articoolo’s tool will write content they can use as a starting point for their articles. Content created by Articoolo’s AI tool will be slightly edited if needed and translated to Japanese. Next Next post: damn! who said that?